Asia’s largest mixed martial arts organization with a 90% market share, ONE Fighting Championship™ (ONE FC), will return to Manila with its largest fight card to date on 5 December. ONE FC: WARRIOR’S WAY is set to take place at the state-of-the-art MOA Arena in Manila. The main event will feature ONE FC Bantamweight World Champion, Bibiano Fernandes, who will defend his title against the undefeated Korean superstar, Dae Hwan Kim. ONE FC: WARRIOR’s WAY will also feature the highly anticipated ONE FC debut of Brandon “The Truth” Vera as he takes on Igor Subora of Ukraine. Bibiano “The Flash” Fernandes is arguably the most decorated mixed martial artist in the world today. He is the reigning ONE FC Bantamweight World Champion and a Brazilian Jiu-Jitsu black belt with multiple world Jiu-Jitsu tournament wins. He is currently on an eight fight winning streak and is unbeaten inside the ONE FC cage. Fernandes will take his dominance to the next level when he faces top Korean mixed martial artist, the undefeated Dae Hwan Kim. Dae Hwan Kim is one of the best bantamweights to come out of South Korea and currently holds an unblemished record of 10 wins with no losses, with five of his wins coming by submission. The agile and crafty Kim defeated highly-touted Filipino contender Kevin Belingon in his last appearance inside the ONE FC cage to earn the opportunity to face the ONE FC Bantamweight World Champion, Bibiano Fernandes. 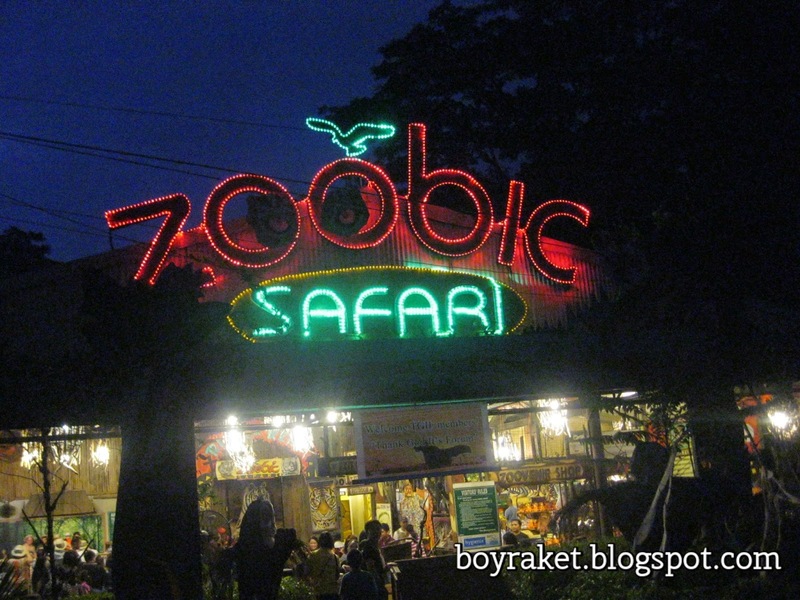 Zoomanity Parks now have something for Nocturnal Zootizens this season, reliving the famous Night Safari which they started early October of this year and will last til January of next year. Although most of us are having our own Halloween craze right now I think this will be another scare of a different level, not dealing with zombies or vampires but with wild animals and in my experience I can say that its pretty exciting. Night Safari features their Animal Parade, Poi Dance, Aetas' tribal fire show and the unique Recycle Recital Show. They also have other attractions to add in the thrill like the Zoobic Cave, Serpentarium, Croco Loco and the Tiger Safari Ride. 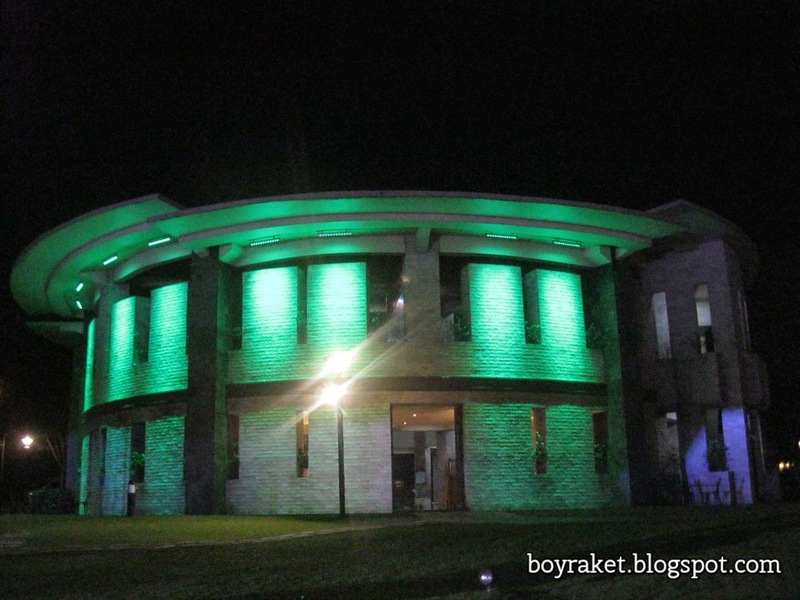 In Residence Inn Tagaytay they have Black Magic Show which showcases magic spell, charms, voodoo and witchcraft perform their mystifying tricks which runs since October 25 and every 5:00 pm of each saturday til November 29. Of course they have day tour zoo adventure, zip line, wall climbing and animal shows on weekends. For a side trip from Residence Inn you can go to Paradizoo where relaxing ambiance of nature awaits you. This 10 hectare farm land have beautiful sets of flowers, fresh vegetables and farm animals which is also an ideal place for family bonding. for this holloween season they also have something which they call 'Spookable Month, also ran since October 25 til November 29th, featuring 10,001 Pumpkins Vs. Zombies and Animal Parade. Thousands of pumpkins are expected to be harvested as well for the pumpkin carving activity for kids. Going down south in Loboc, Bohol they have their newly opened park, Zoocolate Thrills and they have their own guns loaded for this holloween that they call "Halooween Ex-Fear-ience. You can get close to the biggest Burmese Python in Captivity Zooco and see the Chocolate Hills replicas that serves as animal enclosure. 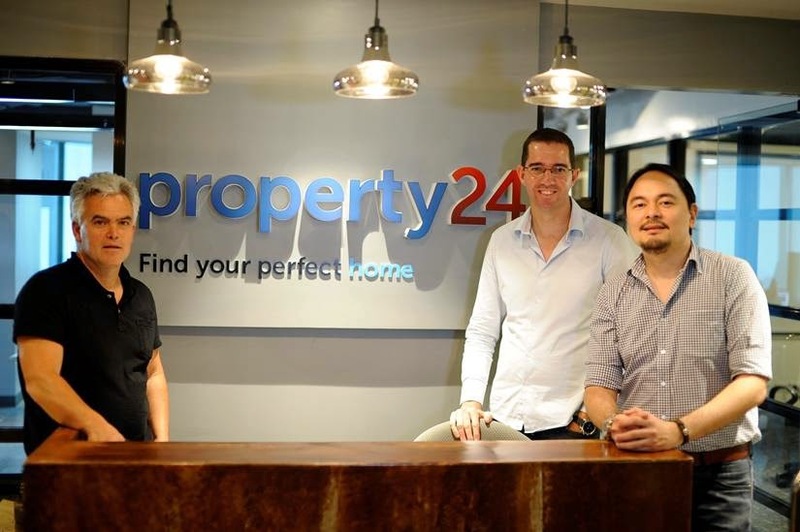 Property24 launches its brand new office in the Philippines, the property portal's biggest hub thus far in Asia. Property24 Philippines is the largest real estate classifieds site in the country with hundreds of thousands of listings and a rapidly growing client base in the property industry. 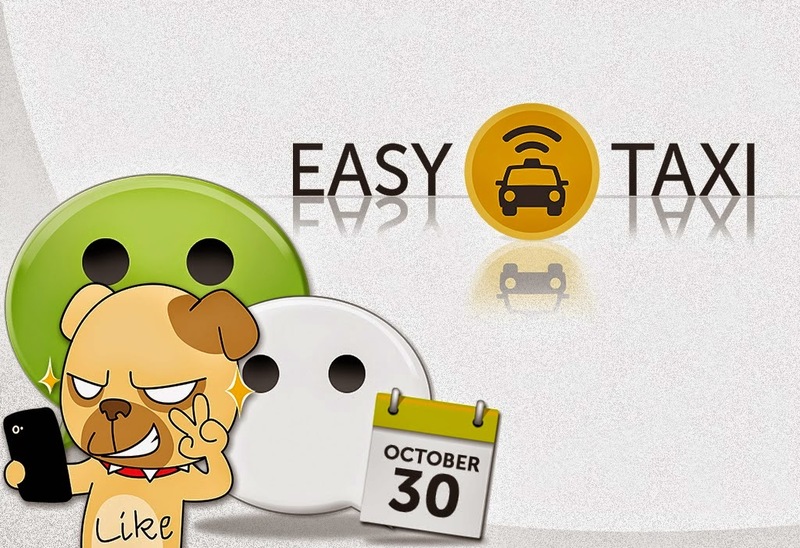 The company is focused on further expanding its business and is set to offer its full roster of services to its growing client base in the market. 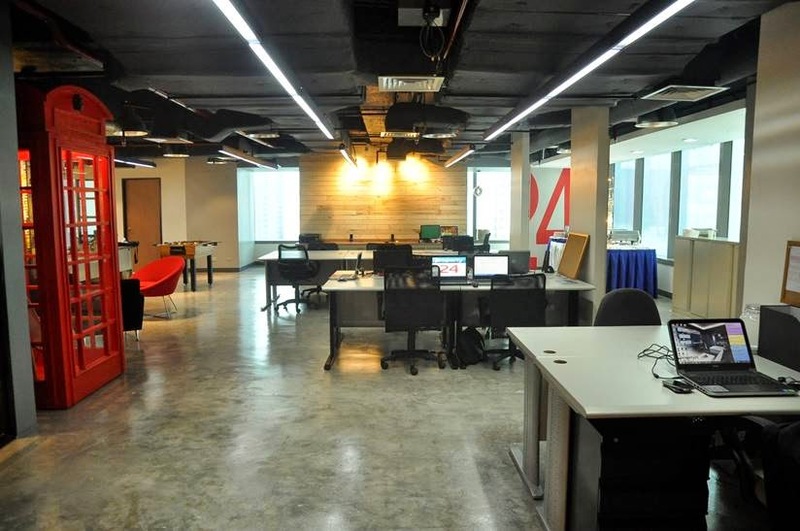 Property24 Philippines finds its perfect home in a much bigger urban-themed modern workspace at the heart of the Ortigas business district. "We wanted a space that encouraged out of the box thinking (creative, non-traditional touches), and promote employee collaboration by building an open office design. 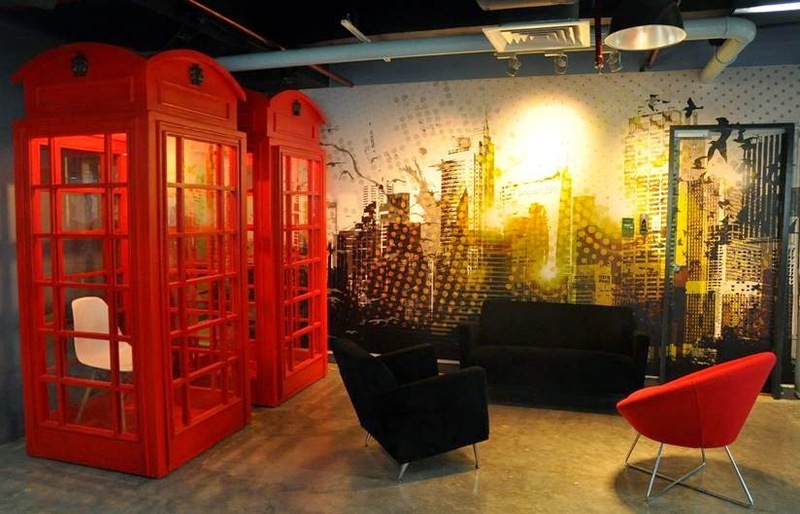 Through playful touches such as our London phone booths, intended for solo video conferencing and audio calls, we are able to achieve a good balance of fun and function. Our play space gives the team the opportunity to bond, and our ability to have fun together makes us a better, stronger and more cohesive team", says Steve Santos, Property24 Philippines Country Manager. The expansion of the Philippine office is a testament to the company's commitment to the country's real estate industry and its confidence in the Philippine economy, says JP Farinha, Property24 Chief Executive Officer. 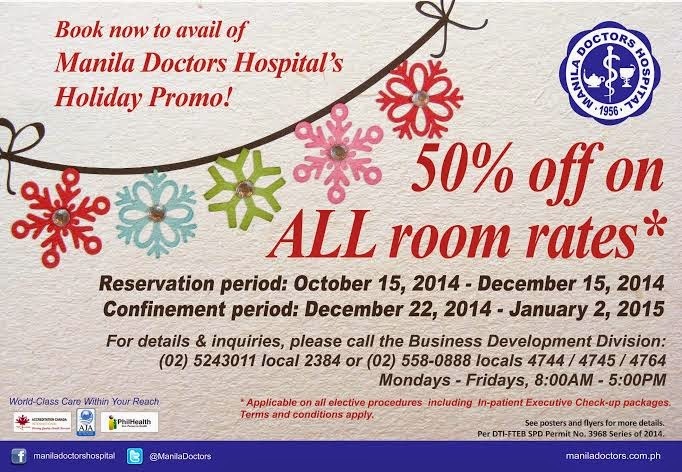 Manila Doctor's Hospital's Holiday Promo! 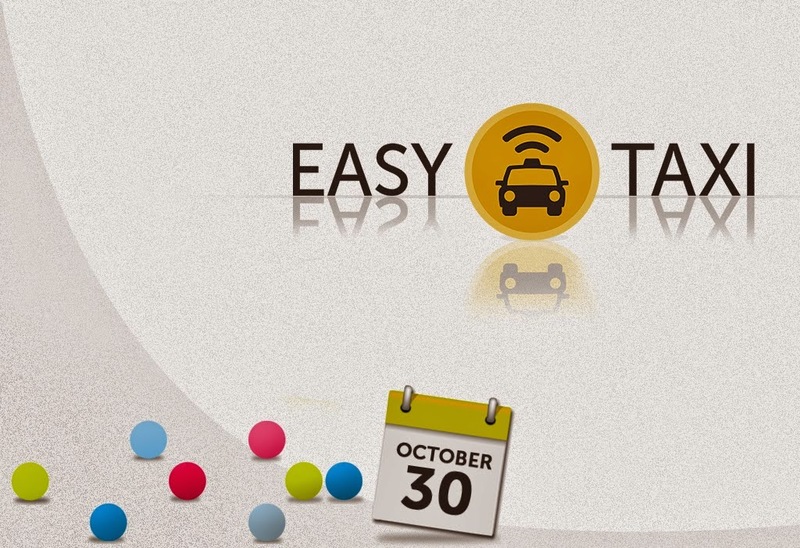 Easy Taxi #OCT302014 in Eastwood! This will be probably be one of my shortest blog post and this will be more of a hint post rather than a review ar a story about an event. A curious post on what may be another big bang announcement which may have the same feel of the free internet the last time. Although I do not have the full details as of this time, let me show you some hints. 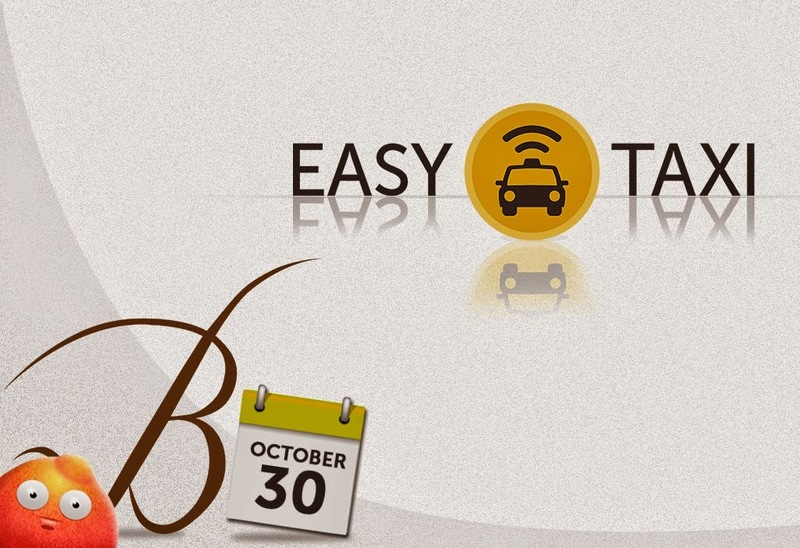 I guess lets all wait and see what will be the big surprise next week, 6pm of Oct 30 2014 in Eastwood Open Park. 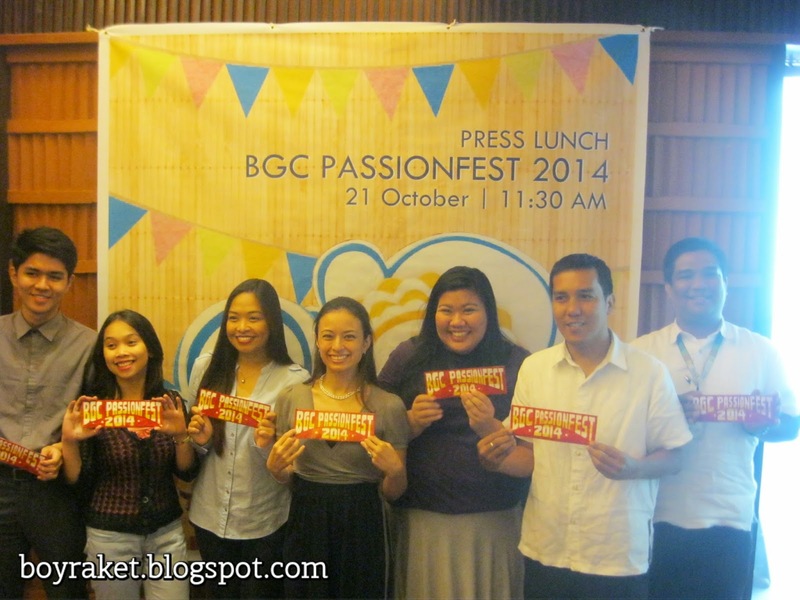 The Annual 3 day event tradition dubbed BGC Passionfest will be set again in Bonifacio Global City and this will have various activities focused on culture, fitness, lifestyle, and art and I'm sure it will be a lot of Fun! 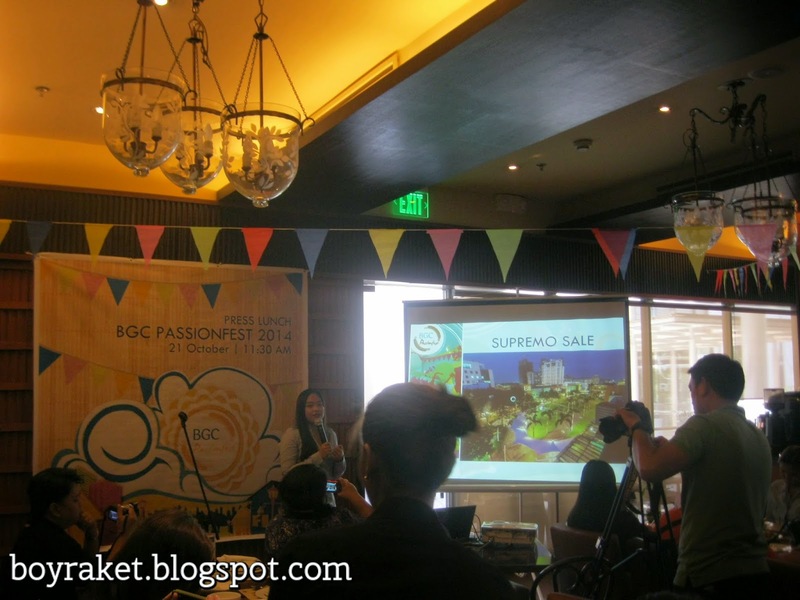 The Theme for this year is A Boni-Fide Urban Fiesta, that features Filipino fusion from Nov 28 to 30 2014, everything will be outlined with outdoors, games, shopping, food, fitness and entertainment. "What a city celebration!" Nov 28 - "A Boni-Fide Urban Fiesta" starts with Kick-Off Street Party in Bonifacio High Street, bright parades at night which is also a signal to start the much-awaited Supremo Sale to the doors of BGC participating stores. Nov 29 - 'Urban Adventure' will be the theme for Run BGC where participants in groups of 10 will have to explore the city and its key features with obstacles/challenges. Musicals and an all-Pinoy BGC Art Mart, DIY Saranggola, Jeepney Sign Art, Chalk the Walk, Musical performances, Science Show by The Mind Museum where they will exhibit Liquid Nitrogen Sorbetes, Science Behind Fireworks, Apoy na Bahaghari, Sunugin ang Cedula! At ang Sweldo! 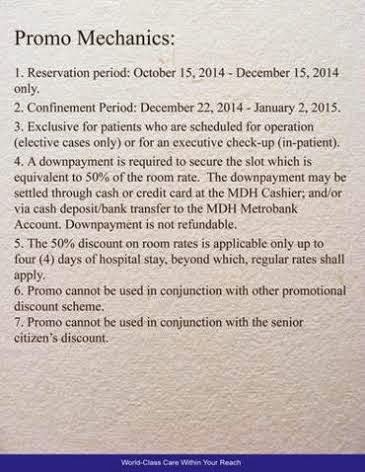 Nov 30 - Will have 2nd Annual Parada de Kalesa that showcases dressed up kalesas and will take guests around BGC. The Parade will also be accentuated by big bands with majorettes and street performers which amplifies the Boni-Fide Fiesta feel. 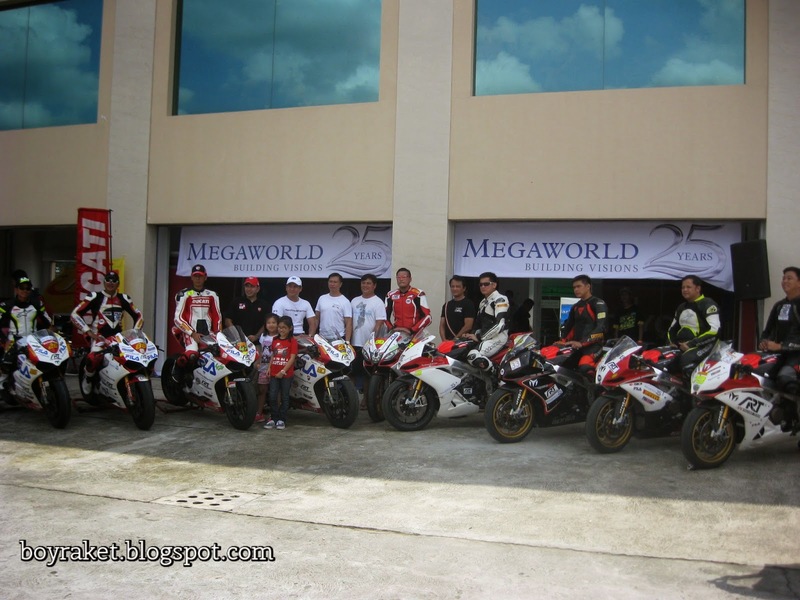 Aprilia Philippines and Superbikes that says "Rawr!" 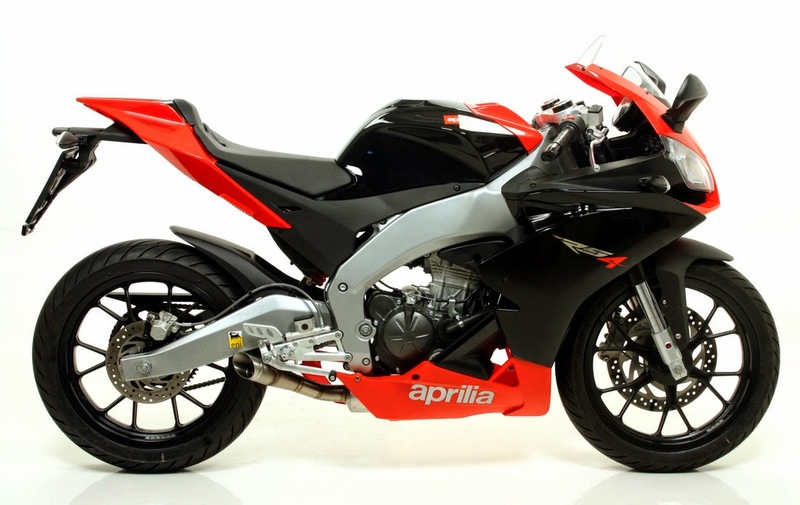 In the Philippine Racing World specifically in the Superbikes Category One of the Top Brands that comes to mind is Aprilia and who wouldn't like to have a beauty like that. Even if I am not really a superbike rider I'd definitely like to have one soon because it will make me look handsome. These awesome superbikes makes me feel that they rawr everytime I look at them. 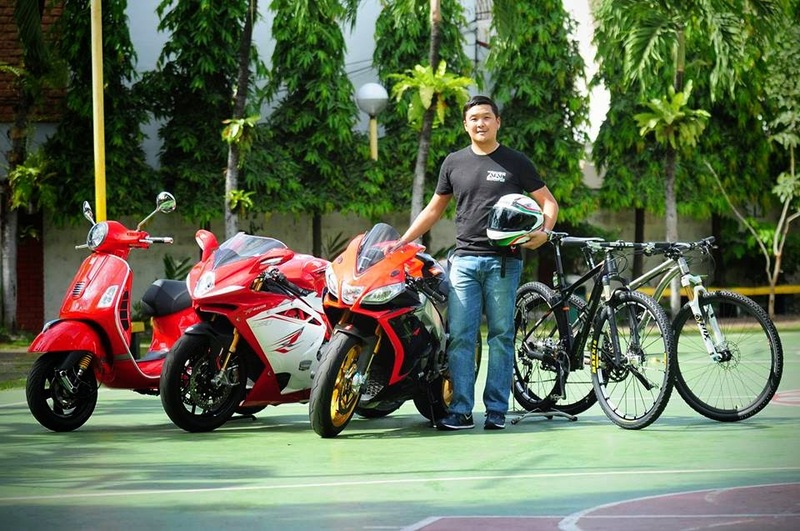 In the Philippines we have Granstar Motors and Industrial Corporation who obtained the exclusive rights to distribute APRILIA Motorcycles and Scooters in the Philippines. And from their website you can pretty much see the bikes they have and the features of that they have. 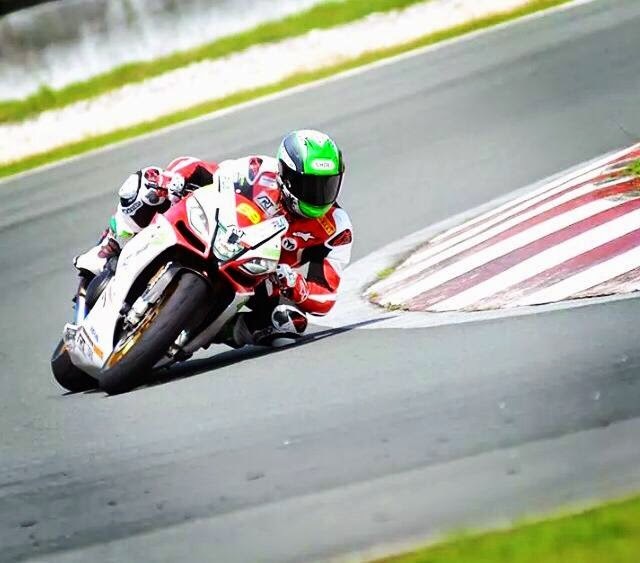 Jevis Aguila, this years Pirelli Cup Open Division Champion and member of ATAT Racing Team prefer Aprilla as Superbike Brand of Choice. 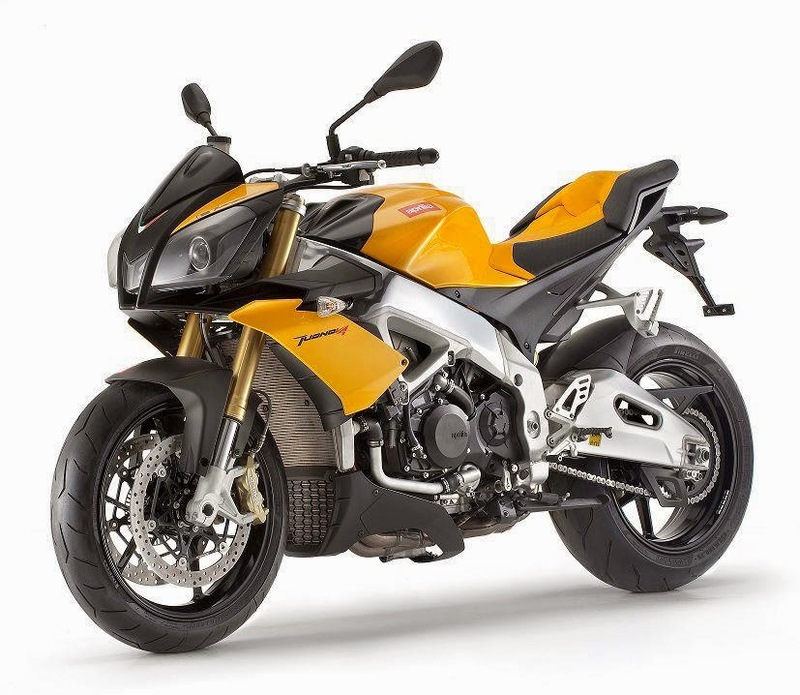 Engine type: Four stroke liquid cooled single cylinder with electronic injection and 4 valves. Brakes : Front: 300 mm stainless steel disc with radial 4 piston calliper, daisy design. Rear: 218 mm stainless steel disc and calliper with single 30 mm piston, daisy design. Wheels: In light alloy with 6 split spokes, with sealing profile for tubeless tyres; front: 2.75 x 17"; rear: 3.50 x 17"
Tyres: Front: 110/70 - 17", rear: 150/60 - 17"
Traction control on specific APRC version: APRC System (Aprilia Performance Ride Control), which includes Traction Control (ATC), Wheelie Control (AWC), Launch Control (ALC), all of which can be configured and deactivated independently. Chassis: Aluminium dual beam chassis with cast and pressed sheet elements. Rear suspension: Double braced aluminium swing arm; mixed low thickness and sheet casting technology. Brakes: Front: Dual 320 mm floating stainless steel discs with lightweight stainless steel rotor with 6 studs. Brembo radial callipers with 4  horizontally opposed 32 mm pistons. Sintered pads. Axial pump master cylinder and metal braided brake hoses. You can also check their Facebook: https://www.facebook.com/ApriliaPhilippines where you can see their events and discounts. Sleepworth, I Don't Have to Find Sleep! Sleep Finds Me! Sleep, seems to be something that is a luxury that sometimes I can't afford busy and demanding days are always what my day almost everyday, not including commitments that investments on time with your love ones, friends and associates. Which is why when I get a chance I grab it right away may it be while traveling or just sitting in a place while waiting. Lately did I realize the importance of having a pretty good sleep is which helps us out on the challenges that we face on a daily basis. 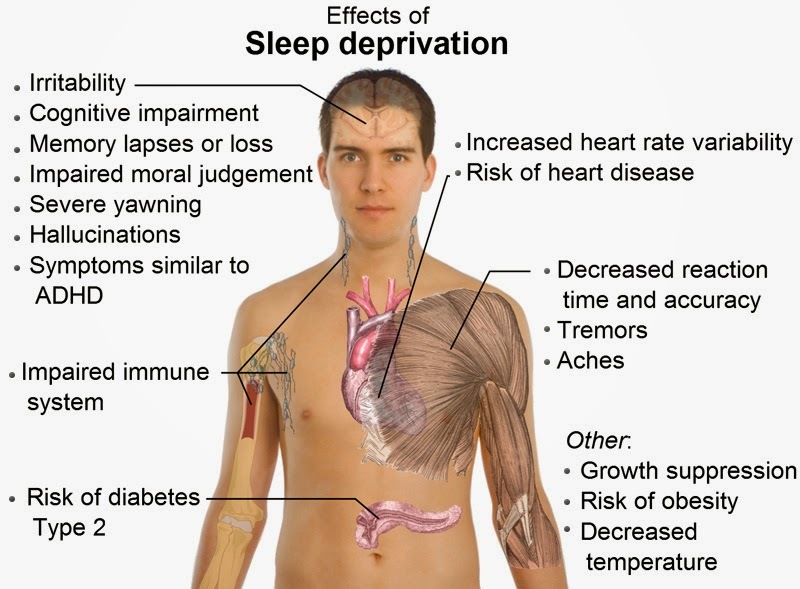 Good sleep helps us think better, energy to keep up, makes us healthier mentally, physically and even emotionally. My say is we should invest on time for us to have enough rest and even invest on stuff in our bedroom. One of the brands that came in my mind was Sleepworth which stands for better sleep. I've learned that they source environment-friendly materials, employ highly skilled workers, and put a great deal in creating and crafting their products. Also learned something about the manufacturer of Sleepworth as well which is HOME EXPRESSIONS CONCEPTS, INC. (HECI). HOME EXPRESSIONS CONCEPTS, INC. (HECI) is a family-run and operated enterprise owned by Ms. Filipinas Katly Torres. 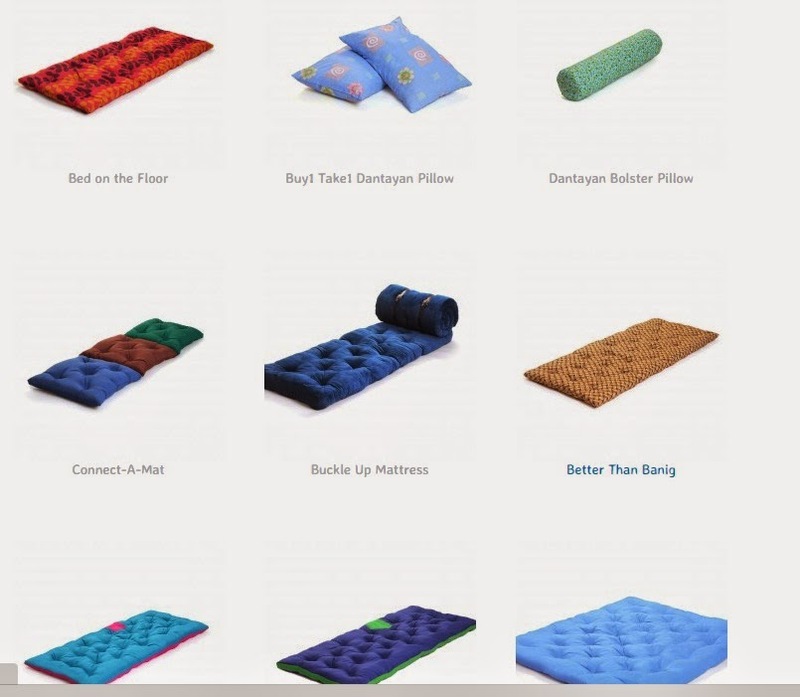 The company is engaged in designing and manufacturing of quality cotton mattresses and other sleep essentials, and is considered today to be one of the most notable names in the field. The company traces its roots back to the 1980s when Ms. Torres first ventured into small-scale retailing of scrap textile and cotton waste in local community markets. With enough savings, the company was able to buy basic equipment to process scrap cotton and textile into stuffing material for pillows, stuffed toys, and mattresses. Then came the innovation of the use of recycled denim cotton clippings as stuffing solely for bed mattresses, of which HECI has become known for locally as a bed mattress manufacturer using “kapok” (cotton). The company employed a number of underprivileged residents in their surrounding community, providing them with valuable skills and opportunities for growth. At present, HECI is known for its flagship brand, Sleepworth. Originally conceived as a more comfortable yet affordable alternative to ‘banig’ (straw mat) it has evolved into the patented 100% quilted recycled cotton design that the company is trusted and known for. 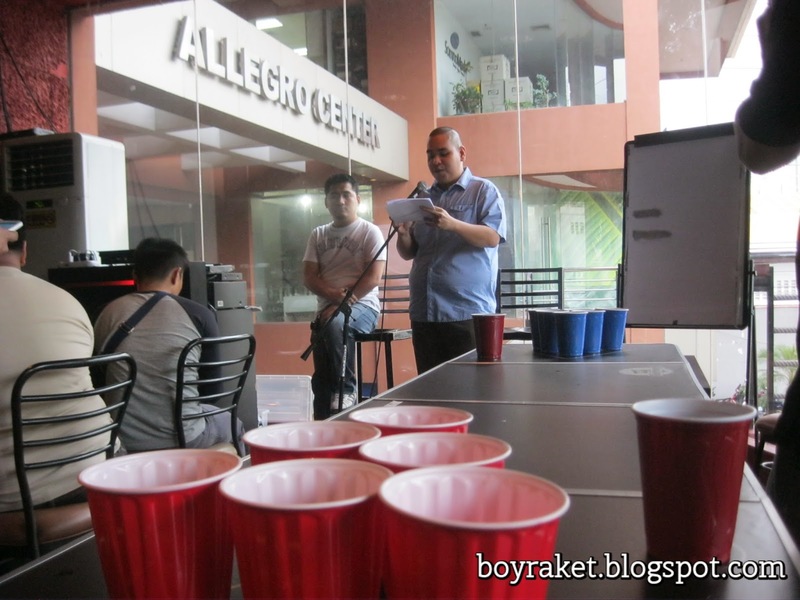 The factory is situated in Brgy. Sto. Nino, Cainta, Rizal. True to the company’s goal of promoting community growth, it employs more than 135 workers residing in immediate towns. I happen to stumble upon this story while browsing in my social media account's wall. I hope more people can read about this most specially the people who needs it. A dog was so faithful that the woman could leave her baby with it and go out to attend other matters. She always returned to find the child soundly asleep with the dog faithfully watching over him. One day something tragic happened. The woman as usual, left the baby in the "hands" of this faithful dog and went out shopping. When she returned, she discovered rather a nasty scene, there was a total mess. The baby's cot was dismantled, his nappies and clothes torn to shreds with blood stains all over the bedroom where she left the child and the dog. Shocked, the woman wailed as she began looking for the baby. All of a sudden, she saw the faithful dog emerging from under the bed. It was covered with blood and licking it's mouth as if it had just finished a delicious meal. 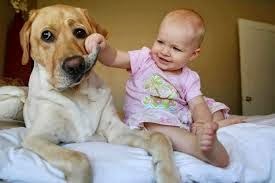 The woman got angry and assumed that the dog had devoured her baby. Without much thought she beat the dog with a wood to death. But as she continued searching for the"remains" of her child, she beheld another scene. Close to the bed was the baby who, although lying bare floor, was safe and under the bed where the body of a snake was torn to pieces in what had been a fierce battle between the snake and the dog which was now dead. Then reality dawned on the woman who now began to understand what took place in her absence. The dog fought to protect the baby from the ravenous snake. It was too late for her now to make amends because, in her impatience and anger, she had killed the faithful dog. How often have we misjudged people and torn them to shreds with harsh words and deeds before we have had time to evaluate the situation? This is called SIN OF PRESUMPTION Presuming things our way without taking the trouble to find out exactly what the situation really is. Little patience can drastically reduce major lifelong mistakes. Who Are You misjudging right now?. Don't think what you think others are thinking. Take time to get the whole truth. Known among young Filipino urbanites as the home of the best pork chops and liempo in town, 121 Grille and Restaurant brings a delicious sizzling dish to give its guests nothing less than a flaming, grand time that will keep them coming back for more. Last October 15, we huddled as 121 Grille and Restaurant launched a more exciting way to enjoy a Filipino favorite – the Sizzling Salpicao. True to 121 Grille’s promise of offering great food and great times to its clientele, guests enjoyed a one-of-a-kind Quiz Night during the launch of the dish of the hour – the Sizzling Salpicao. Members of the press brought friends to experience a special 121 Grille Sizzling Wednesday Night featuring the popular Quiz Night. 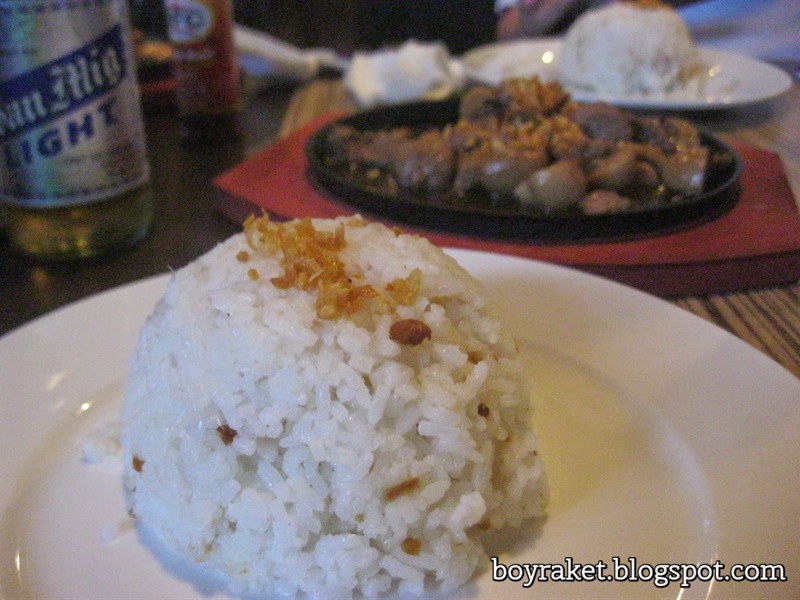 Guests were treated all night to a buffet of the pairings that goes perfectly with the new Sizzling Salpicao such as garlic rice, fried talong and banana hearts, and ice-cold beverage. Have a sizzling good time at 121 Grille and Restaurant with the newest Sizzling Salpicao specially concocted with Knorr Liquid Seasoning. 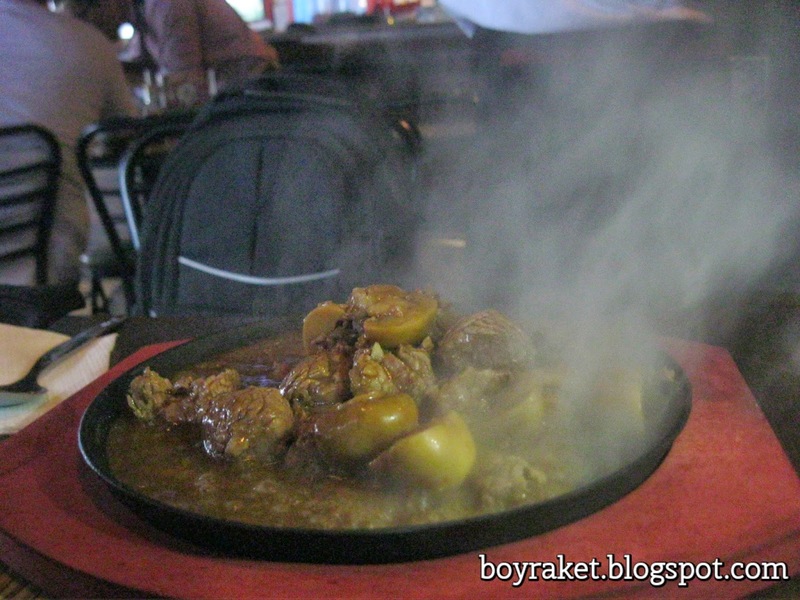 Sizzling Salpicao will only be available from October 15 to December 15, 2014 for P279.00, good for 1-2 persons. 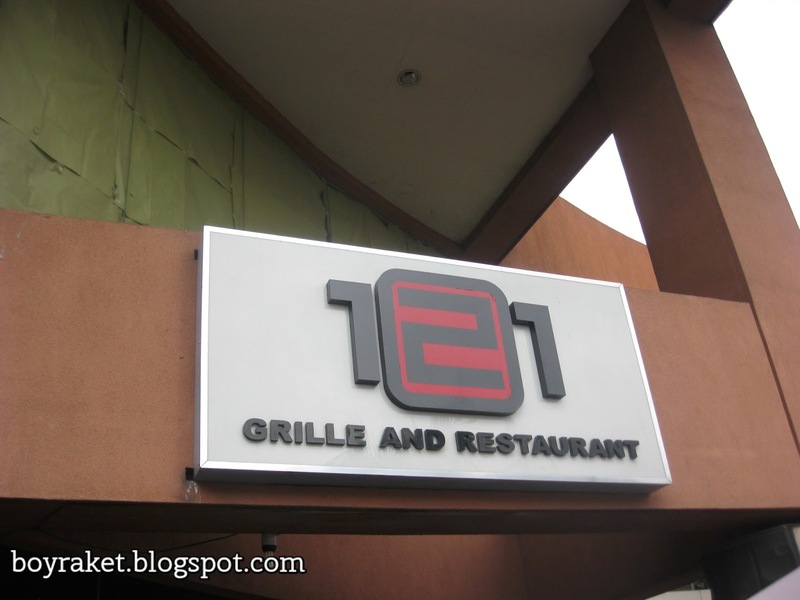 For more information about 121 Grille and Restaurant, visit www.facebook.com/121resto. Aeternum - How Ready Are You?! Aeternum, a latin word for Eternity. This is were I went last weekend which is rather one of the interesting tour in the Metro but this time it will be for awareness on how ready we will be in our future. This is a sensitive topic but a reality that everyone will face in the future. My professor ones said that when we live in this life, we will face 3 facts: first fact of life is change which is something that we will encounter in our lifetime, second is tax and we will face this weather we like it or not and whether it will fall to the right hands or the wrong pocket, and third fact of life is we will live and will eventually die so the next question will be how ready are we to face it. Aeternum is within the general vicinity of the Fort Bonifacio Global City, the premier business and residential address in Metro Manila. We were all made aware of who and what Aeternum is and its services all questions were answered in the Question and Answer portion of the program after our tour in the vicinity. One of the answers that retained to my mind is that you don't have to be rich to avail the services of Aeternum because they also have installment packages that can fit the budget of an ordinary Joe. I believe everybody will agree with me that this is no ordinary place, looking around will just relax your mind and soul. 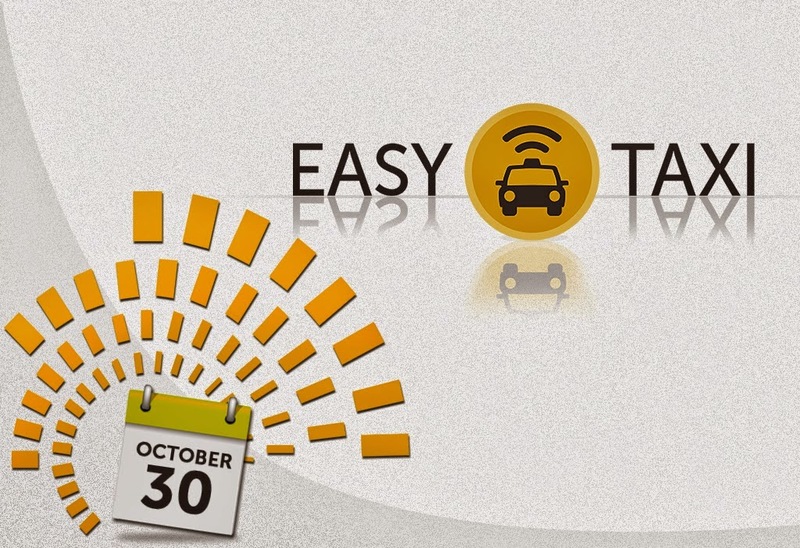 Awareness was added to us that weekend and just like the other pre-need services that we know like education, insurance and the likes this will also be something worth investing for. We do it not only for ourselves but most specially for our love ones. And so they did! 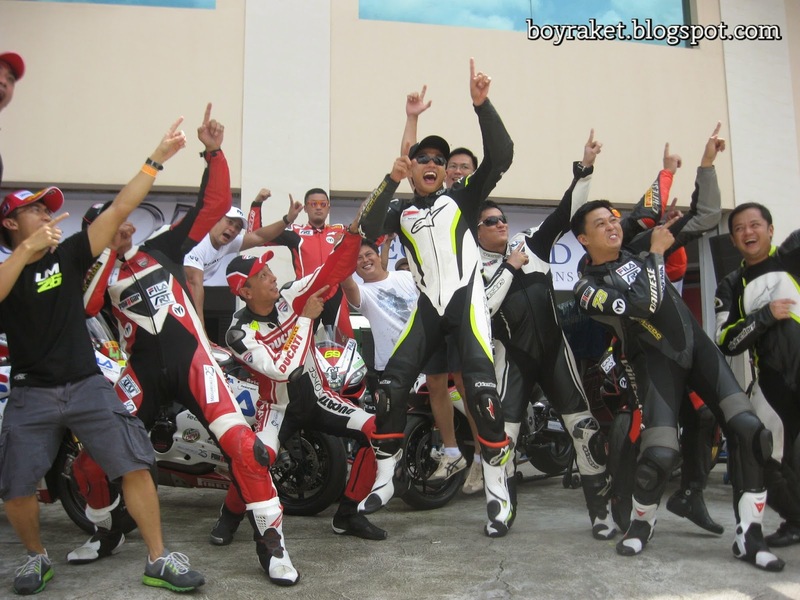 ATAT Racing Team that dominated this year's Philippine Superbikes Championship. What's great about it is ATAT did not only a member only celebration but they also had members of other Rider's Group with them which were actually some of their competitors in the said race but all is well because outside the racetrack these guys are all brothers on the road no matter what bike you are one and whoever you are. The party started out with a small press conference graced with some of ATAT's representative's and were they shared who ATAT is, their plans for next year and in the coming years not only in the race track but as a known group that promotes road safety to all riders. And as they always say "If you want to race, do it in the race track not on the roads!". After the short presscon was the raffle draw for everybody that is in attendance where there were generous prices that was given to the winners like Manny O Wines, Motor Bike Accessories and Helmet, Hotel Stay, Treat for 5 persons in a bar to name a few. Congratulations to all the winners whether you're ATAT or not! That was a great victory party and I'm pretty sure that everybody had a great time! 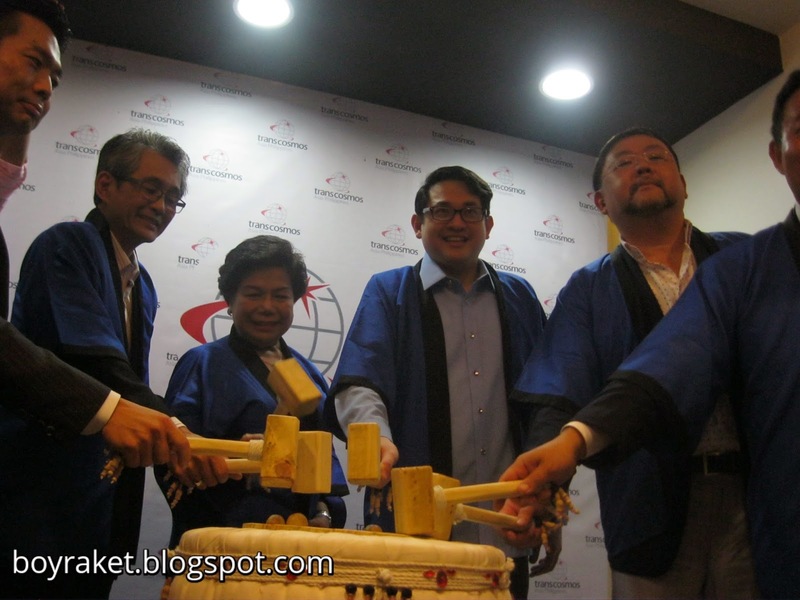 Distinguished guests Senator Paolo Benigno "Bam" Aquino IV and Director General Lilia B. De Lima were also there which challenged the company of hitting the target number of jobs that Transcosmos wishes to fulfill next year. 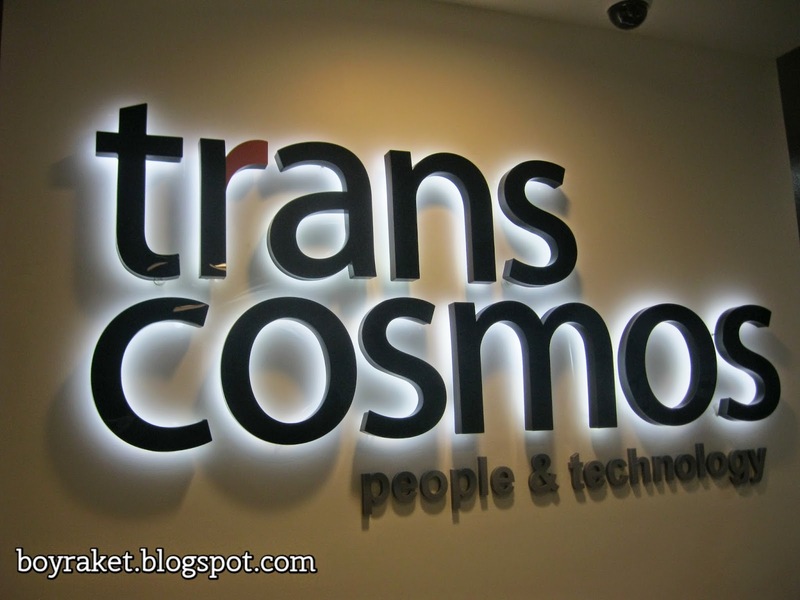 With the establishment of Transcosmos to the Philippines, global bases deployed by Transcosmos will extend to 70 locations, and its presence in the ASEAN region will move into its fourth country following Thailand, Indonesia and Vietnam. 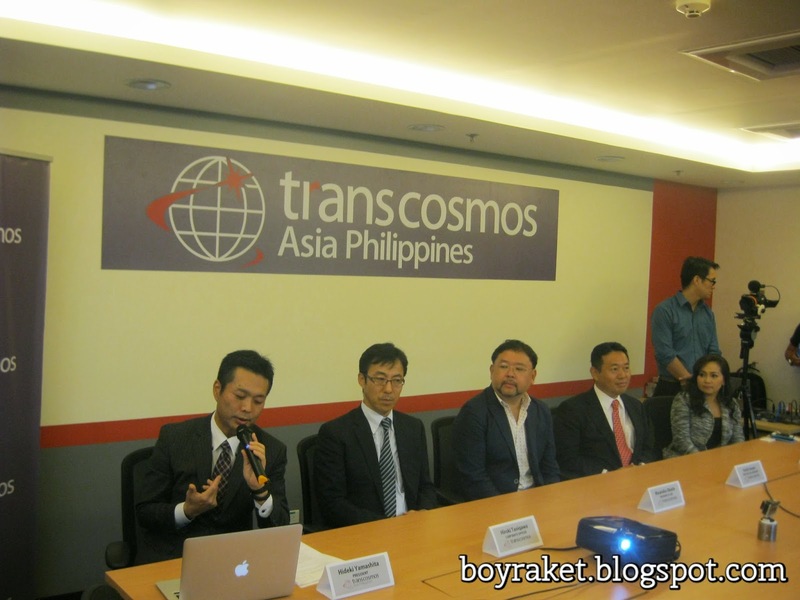 Transcosmos Philippines is targeting ¥2billion by year 2018. Hey I know yesterday's game was a bit tough, but it's all over now and today is another day. So here's what I can say: "Relax! Watch a Movie!" PUSO - Even if the name co notates lovestory, I assure you that this will not be all about it. 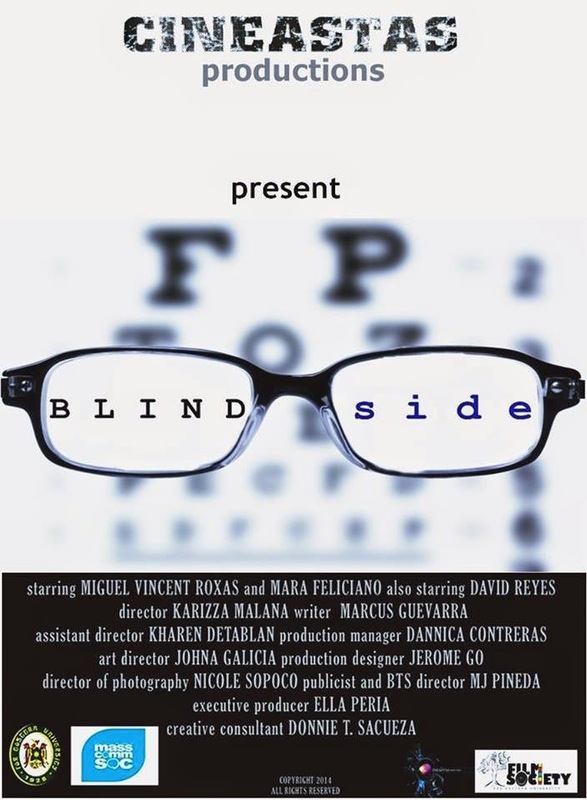 The others do not have the video's in youtube, but you can click on the poster caption which will direct you to the video peaks of the film. 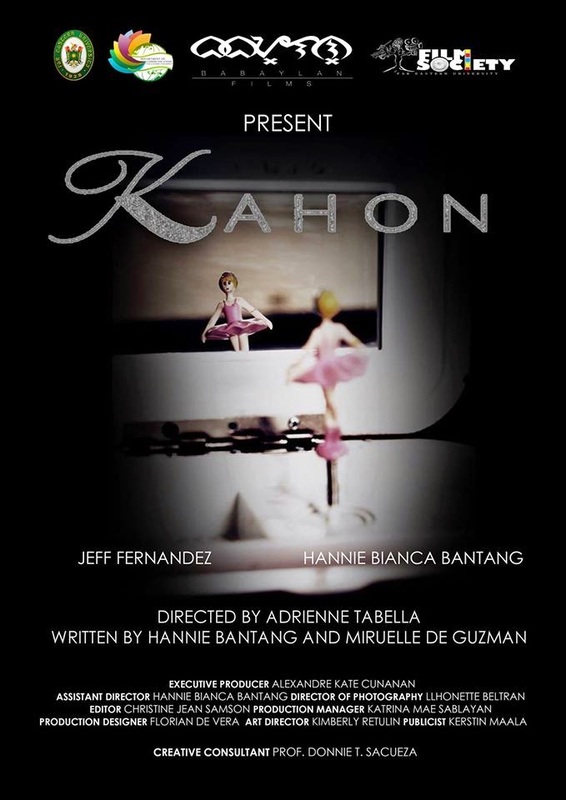 KAHON - What if dancing is your burning passion in life but life didn't give you the chance to live your dream? 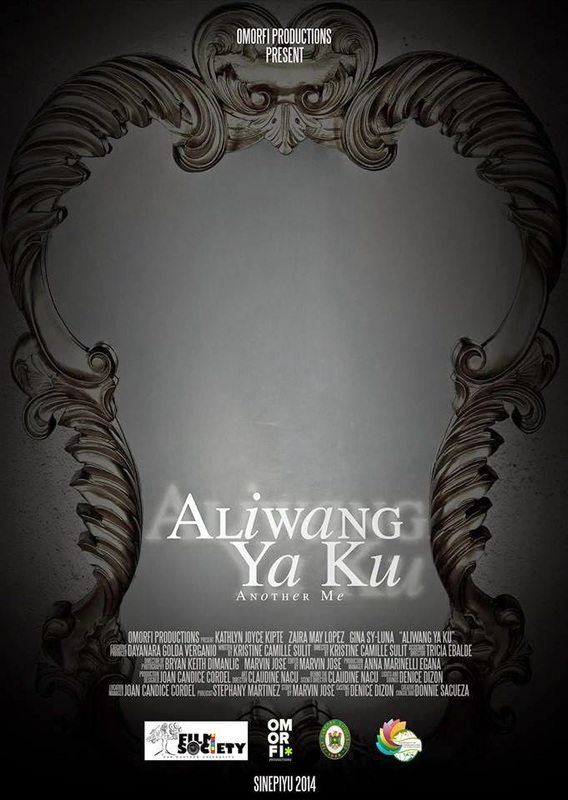 ALIWANG YA KU - What if you didscover that there's ANOTHER YOU inside you? There will be a lot of films for you today and tomorrow so have fun! 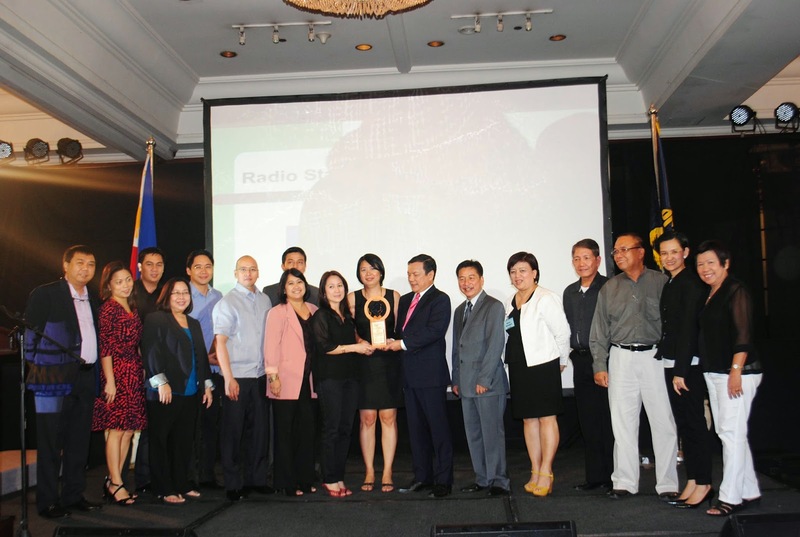 For the fourth straight year, the People Management Association of the Philippines (PMAP) is holding the PMAP Makatao Awards for Media Excellence to honor members of the mass media (TV, radio and print) for their outstanding works, columns, features and contributions that enhance public understanding of the role and impact of good people management in both the public and private sector in the country. 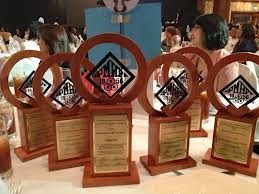 Best TV Public Affairs Program Host; Best TV News Program; Best TV Female Newscaster; Best TV Male Newscaster; Best Radio Public Affairs Program; Best Radio Public Affairs Program Host; Best Radio News Program; and Best Radio Newscaster; Best Columnist. First and foremost, Brickfire is a budget-friendly steakhouse. Its flagship dishes are The Duke and the Cowgirl Annie, which are generous cuts of tender local beef classically seasoned with salt and pepper. 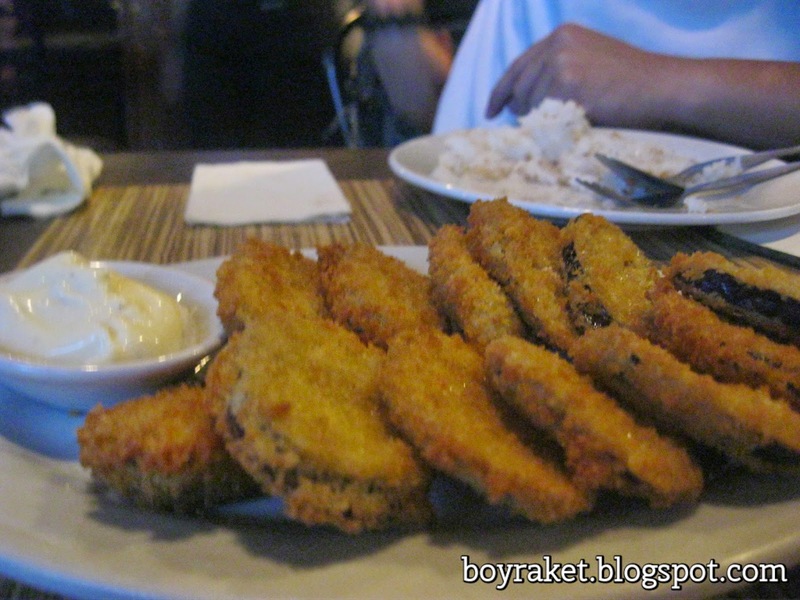 That is where Brickfire stops being your typical budget steakhouse and becomes so much more. 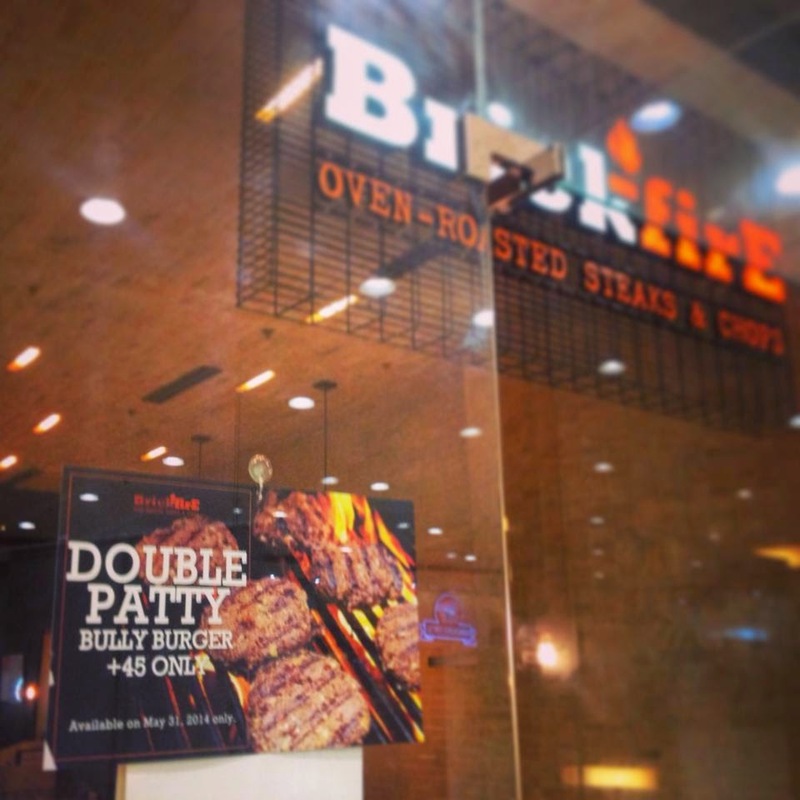 One of the biggest differences with Brickfire is how the beef is cooked. 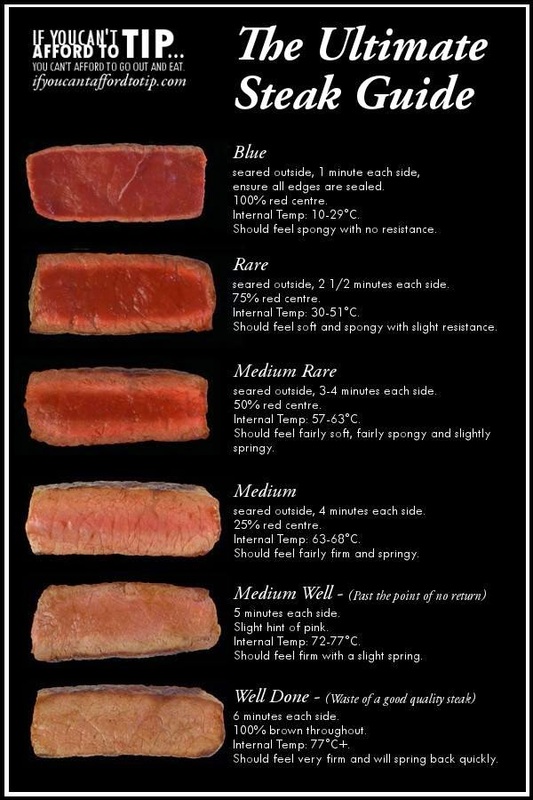 Instead of the steaks being grilled, they are baked in a Brickfire oven, keeping the steaks tender and sealing in the flavorful juices, which is key to that irresistible beefy taste often found lacking in thinly cut, grilled steaks. Brickfire doesn’t just stop differentiating itself there. It takes further steps into the diverse art of preparing steaks by offering two additional playful flavors: Honey Mustard and Wasabi. The Honey Mustard steaks are made with the famous Filipino sweet tooth in mind and are a nice alternative to the traditional salt and pepper flavor. As a believer in living life to the fullest, ‘Brapanese’ model Daniel Matsunaga regularly does cardio exercises, lifts weights, and participates in a lot of sports like professional football and the Spartan Race, the most difficult obstacle race franchise, whose US competition he wishes to join someday. He also loves to wakeboard and get into the groove of Brazil’s traditional dance Capoeira. But sports and workout is only a small portion of what makes the Pinoy Big Brother (PBB) grand winner fit and strong. The strength to do all his activities, especially after his recent big win at the reality show, comes from a daily diet that consists of a lot of protein that he gets from his favorite tuna. “Food diet is very important for me. It gives me the strength to seize whatever opportunity comes my way after winning the top prize in PBB. 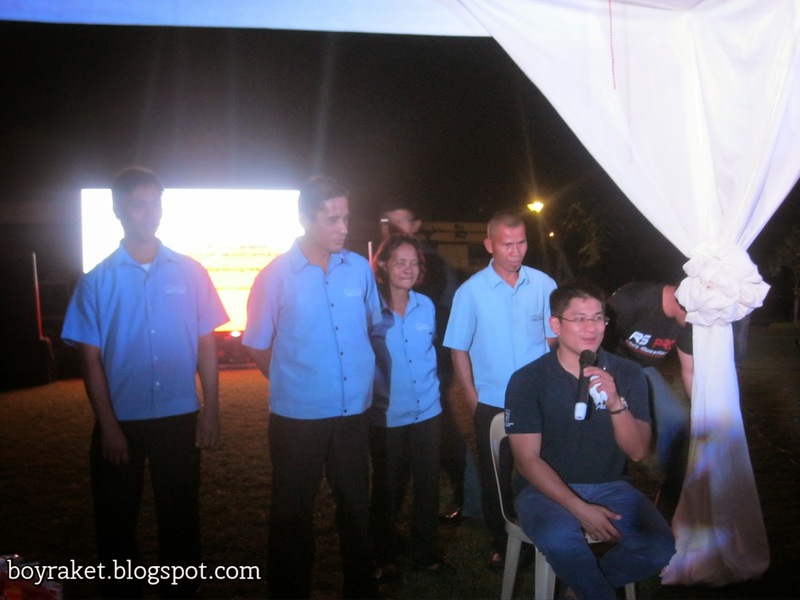 And for me, the perfect diet mostly consists of high protein tuna from San Marino Tuna Flakes,” Matsunaga said. Protein, after all, is an essential building block of muscles. The more protein people eat, the more they build and strengthen their muscles, which in turn will allow them to enjoy more activities and live life to the fullest. 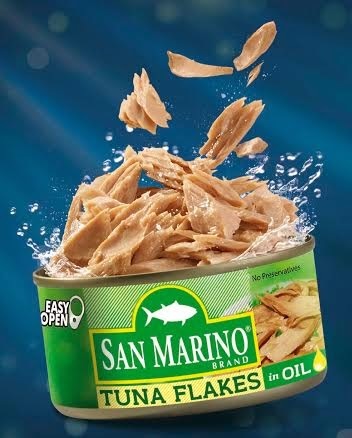 After introducing a few years back its fresh twist to canned tuna, the “corned tuna,” San Marino has just joined the conventional canned tuna market with the newly launched tuna flakes line that comes in oil and hot & spicy variants, and in easy-open cans. Made from freshly-caught tuna with no preservatives, San Marino Tuna Flakes contains the highest level of protein to help build strong muscles so one can make the most out of life and take on #WhatsNewWhatsNext. This makes San Marino Tuna Flakes the perfect choice for health and fitness buffs. On its own or prepared in a variety of dishes like sandwiches and pasta, one can truly enjoy the natural goodness of tuna and the strength that comes with it. Present as well in the San Marino Tuna Flakes’ launch are fit & fab celebrities like young basketball superstars Jeric and Jeron Teng, Dela Salle Archers’ Big Man Arnold van Opstal and lady spiker Mika Reyes, hunks Marc Nelson and Victor Basa, actress-models Phoemela Baranda and Bubbles Paraiso, showbiz reporters Ginger Conejero and Divine Lee, showbiz daughter Dani Barretto, and hosts Nikko Ramos and Katz Salao. 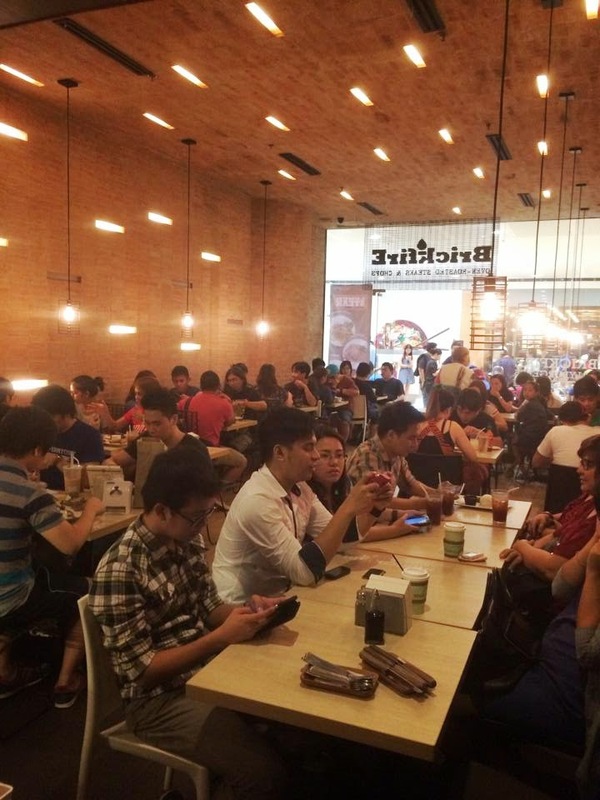 Held at the Mercato-Bonifacio Global City in Taguig, the San Marino Tuna Flakes launch event also treated guests and participants to try out exciting activities for free like wall climbing, trapezing, rappelling and win exciting prizes like GoPro cameras and Garmin watches. 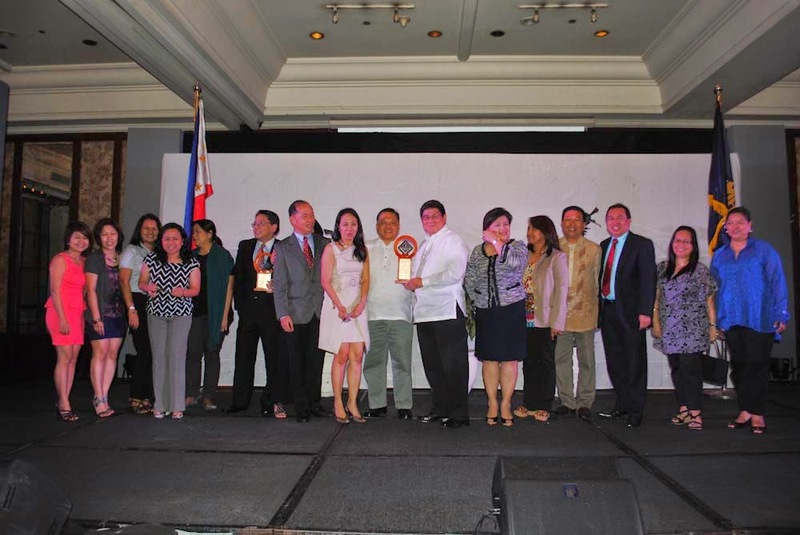 The Philippine Society of Medical Oncology (PSMO) is a scientific, professional non-profit organization of board certified medical oncologists(doctors specializing in the diagnosis and treatment of cancer) that aims to advance the science and the ethical and holistic practice of cancer care in the Philippines. We have been in existence since 1969, and presently with a membership of 206 fellows. Pursuant to these goals, one of our organization's special projects is the 'Cancer Fair' highlighting hte theme "Life Despite Cancer". The past cancer fairs they had(in 2001, 2003, 2006 and 2009), drew participation from a wide range of companies dealing with food and nutrition, beauty products, wigs, hotels and others. The Fair proved to be a joyous occasion for everyone. The event is indeed a very special day because patients, their loved ones and their doctors, while playing games, expressing their care free side of life, away from the usual concerns about their disease. This year, PSMO is again holding its 5th Cancer Fair this Sunday October 12, 2014 at the Henry Noble Gymnasium, Trinity University of Asia. They will be inviting cancer patients, their families and caregivers. The objective of the event is to give the patients a day of fun in the midst of what is presumably a difficult situation. PSMO will be expecting around 500 participants, family and members, caregivers, health workers and medical practitioners to attend the event. Super Weekend with Superbikes of ATAT Racing Team! Even if you're just sitting somewhere near the track or on the 3rd floor of the watch pods in Clark International Speedway adrenaline will sure be pumping and will drive you nuts at some point especially if you have someone in the racetrack to cheer for, in my case it will be the ATAT Racing Team for the Superbike category. Why? Well..who wouldn't? Since this is my first time to watch something like this which made me a fan instantly by the way, allow me to show some of the pictures. ATAT Racing garnered 9 trophies and won in 3 classes. 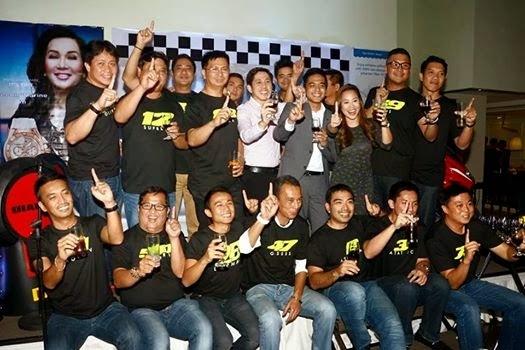 Thanks to all partners who supported us throughout the season of the 2014 Philippine Superbike Championship. 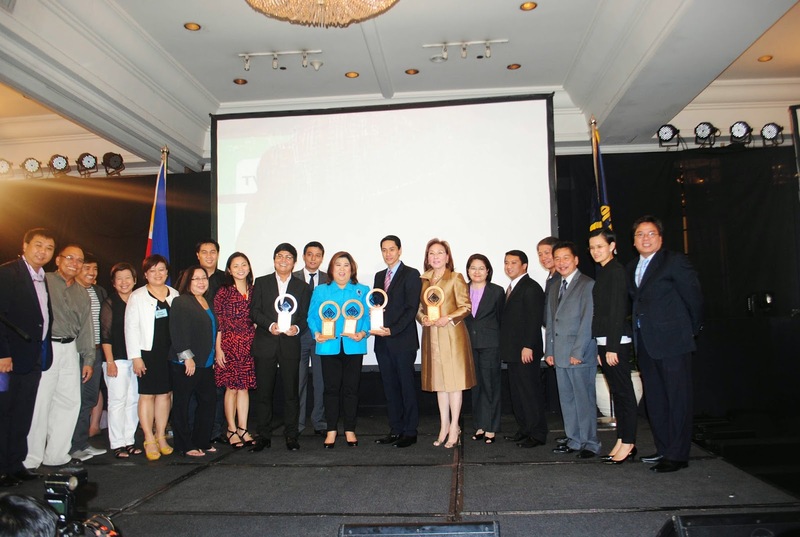 TechnoMarine, IPM-CDC, Fila, Foil A Car, Megaworld & Brickfire. Jvs Aguila won race 1 by 6 seconds and race 2 was declared a wet race. He crashed on the 2nd lap of race 2 and willed to carry on. Race was red flagged and it was restarted. He finally crossed the finished line on 2nd place making him the overall champion! "Thank you for a great racing season. Winning races is just a bonus but the camaraderie and brotherhood is what keeps us winning. Looking forward to the 2015 racing season! If everyday you live with the idea of getting better, then the result would be something beautiful.."
It was supposed to be just for fun, thank you to ATAT MC brothers for convincing me to race this season. This is for ATAT!"